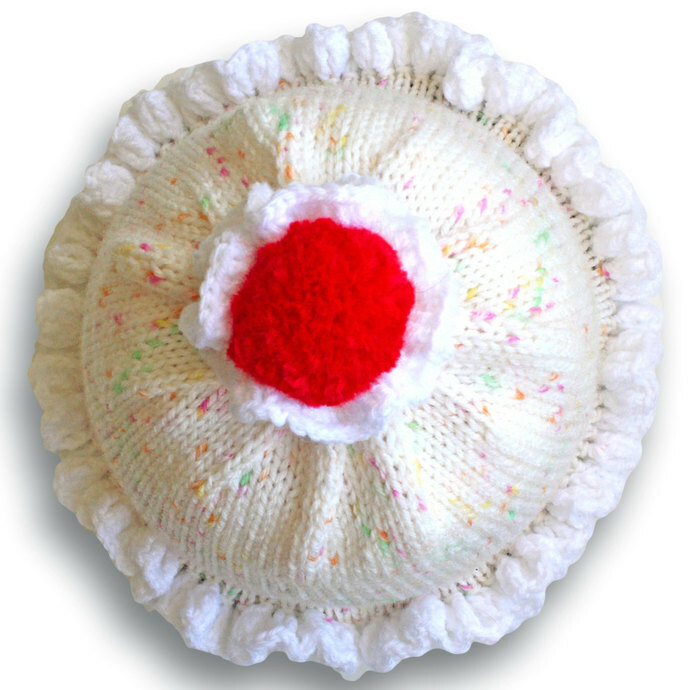 Cute hand knit toddler (12 months to 3 years) cupcake hat with cream "frosting" features crocheted ruffles of white "whipped cream". 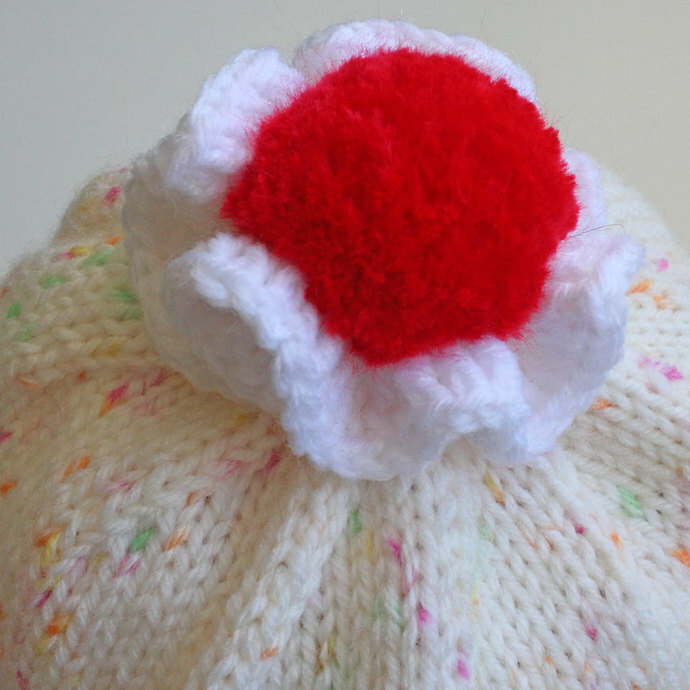 The crown is accented with bright red "cherry" pom- pom on the top. The "cake" -- the 2" (5.08 cm) ribbed lower portion -- is chocolate brown. 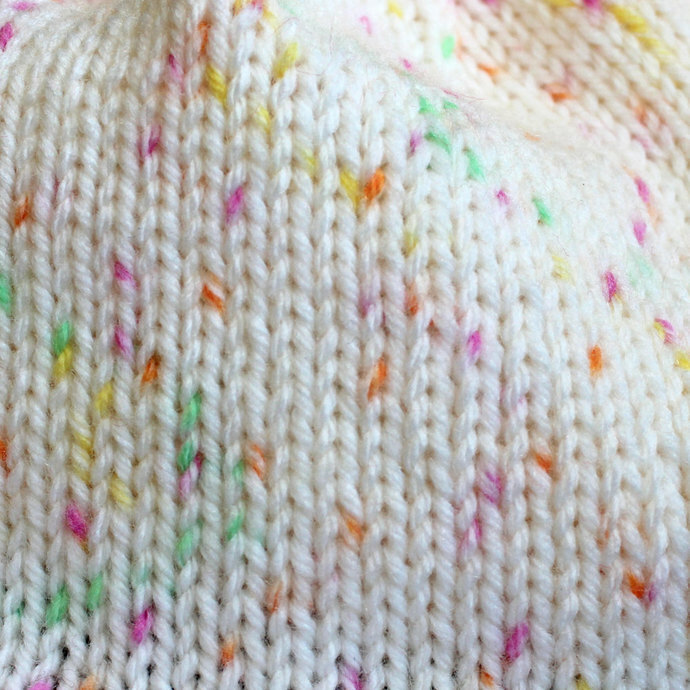 The "frosting" (the top section) is cream with dots of orange, green, pink, and yellow that resemble sprinkles. These multicolored dots are dyed into the yarn so they will not snag, fall off, or pose a choking hazard. Hand knit from easy care, nylon and soft acrylic microfiber yarn that is machine washable and dryable. The ribbing circumference measures approximately 14" (35.6 cm) unstretched. The ribbing is very elastic and will comfortably stretch to fit a child's head circumference from about 15" (38.1 cm) to 20" (50.8 cm). Bottom edge of ribbing to top center of crown, excluding the pom-pom, measures approximately 8" (20.32 cm). 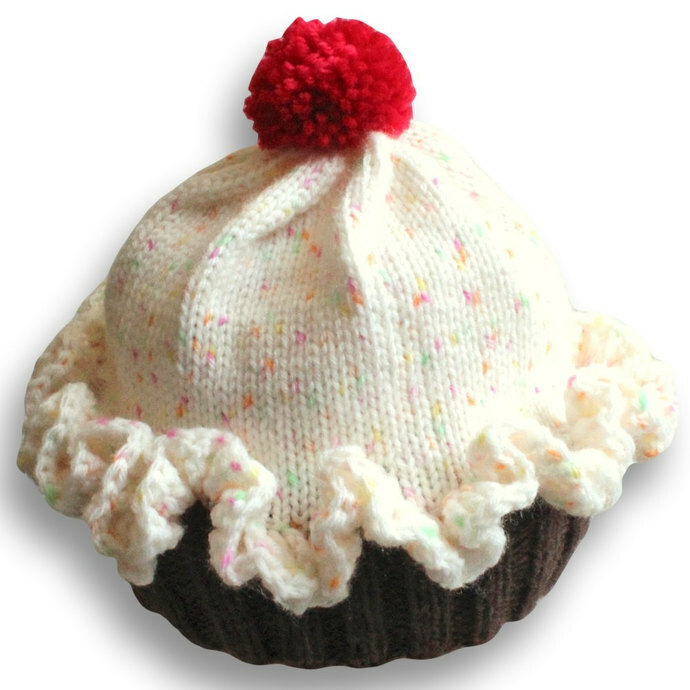 Note: The circumference of knitted and crocheted hats should generally be about 1 - 1.50" (2.54 - 3.81 cm) smaller than the child's head circumference. These hats are very stretchy and children vary greatly in size, so sizing is not an exact science. Please measure your child's head (girth and crown length) to ensure proper fit. Handknit in Texas with imported yarn (Turkey). 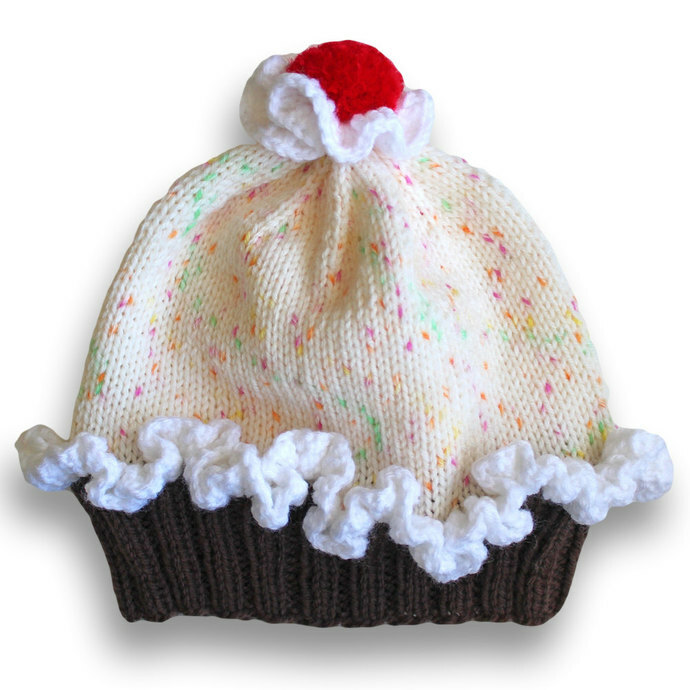 Hat is 50% acrylic microfiber/50% nylon; pom-pom is 100% acrylic. Machine wash gentle cycle; tumble dry low (hand wash/air dry recommended).